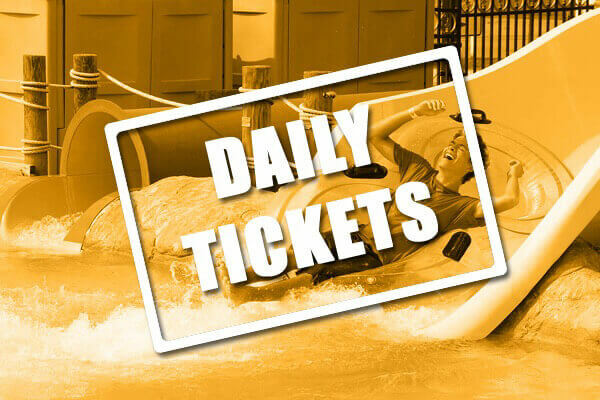 Daily tickets are good for any single day admission for one person. For groups of 15 or more, you can purchase tickets at our Group Rate Discount at $16/per person. Click the BUY NOW button above to purchase at this rate. Please note, Groups and Summer Camps are separate. To book a camp, click on the ‘Summer Camps’ tab. If you are purchasing this product at this discount, you will be required to show proof of residency within Calvert County. If you do not provide your proof of residency, you will be charged the regular cost for the Any Day Pass. For groups of 15 or more, you can purchase tickets at our Group Rate Discount at $10/per person. Click the BUY NOW button on the right to purchase at this rate. Please note, Groups and Summer Camps are separate. To book a camp, click on the 'Summer Camps' tab. If you are purchasing this product at this discount, you will be required to show proof of residency within the incorporated Town of Chesapeake Beach. If you do not provide your proof of residency, you will be charged the regular cost. For groups of 15 or more, you can purchase tickets at our Group Rate Discount at $9/per person. Click the BUY NOW button on the right to purchase at this rate. Please note, Groups and Summer Camps are separate. To book a camp, click on the 'Summer Camps' tab.